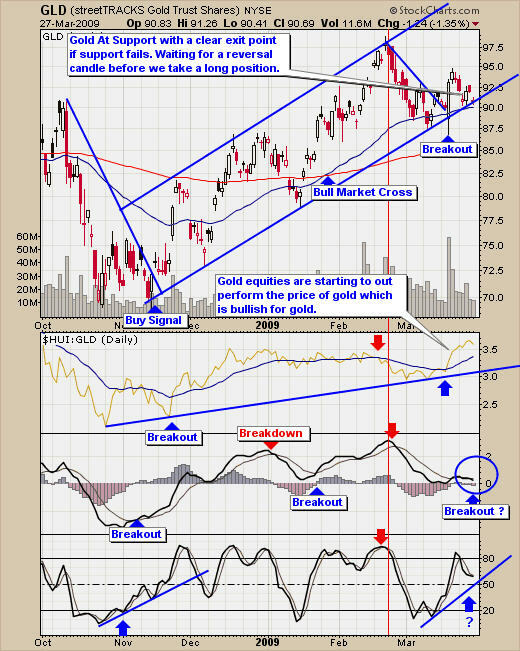 Gold is currently at support and really giving the support line a run for its money. If this trend line support is broken I figure we will see $87.50, which is the next technical support level. 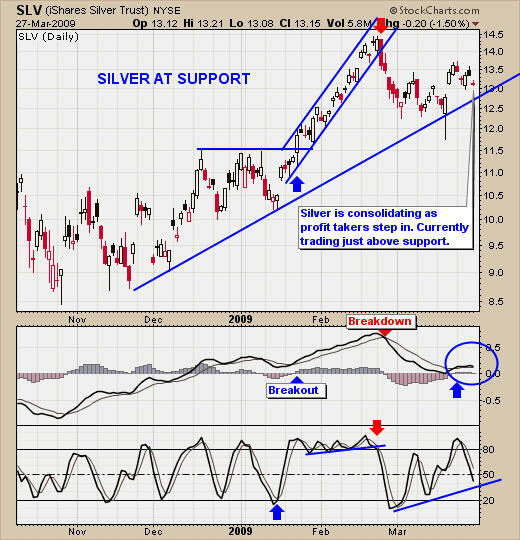 Silver is trading just above support. It would be good, if we could have some sideways action and then form a reversal candle sending silver higher. This would generate both a buy signal and low risk setup. 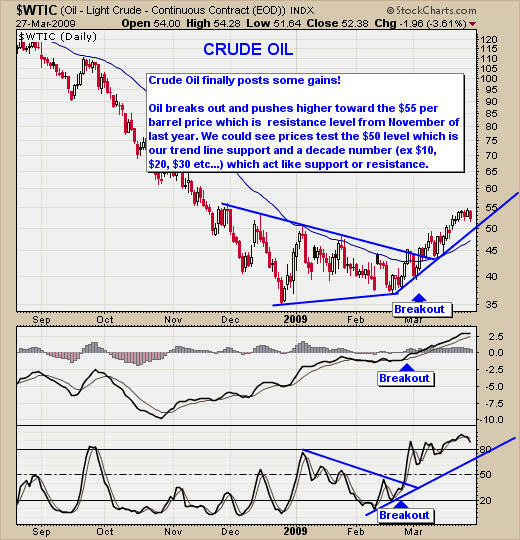 Crude oil has been making its way higher over the past few weeks and we are well in the money on the USO trade. Oil looks to be rolling over here and we could see prices drop very quickly, as this VERY POPULAR commodity has speculators all over it trying to make a quick buck. This week we will be watching for bounces/reversals for all three commodities. If things work out, we could be adding some new long positions this week or early next week. But if prices continue to roll over here, we will be taking profits and sitting on the sidelines until new setups happen. The broad market (Dow Jones Industrials) looks to be over bought in the short term and momentum is currently negative. The Dow, SP500 and Russell 2000 have rallied up to a key resistance level, while the NASDAQ has posted some big gains and almost trading positive for the year. The market overall is mixed, so short term trades, be ready for some whipsaw action.